AN INCREDIBLE LOW THETA JOURNEY INTO THE HEART FOR A MEETING WITH THE SOLAR LOGOS! 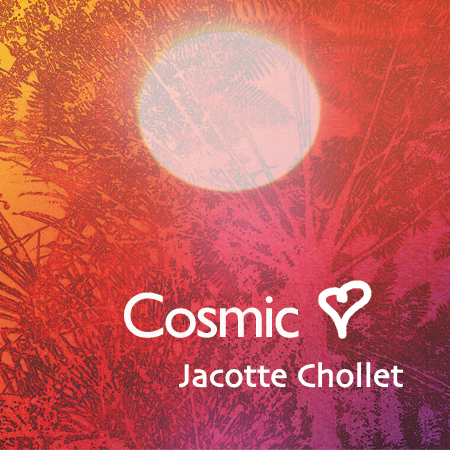 LIGHT WORKERS LOOKING FOR VIBRATORY INFORMATION SHOULD CHECK OUT THE ENTIRE SERIES OF DISCS BY JACOTTE. THIS IS MUSIC WHICH CAN ACTUALLY REVAMP ONE'S BIOENERGIC FIELD INTO A MORE HARMONIOUS STATE. I'M NOT KIDDING. THIS RELEASE, INVISIBLE PRESENCE, IMPROVES THE LISTENER'S CONNECTIONS TO THEIR HIGHER SELF, HOLY GUARDIAN ANGEL OR YOUR INNER TEACHER. The 12 minute, “Solar Lord," is quite slow and stately, with a bass pulse in the heart chakra every five secs or so. A synth drone and some phasing provide a sacred tamboura-like atmosphere. A synth lead sinuously winds through the piece like an harmonium and some harp trills aesthetically placed suggest some playfulness. Overall, the piece is quite still and meditative, easily taking the listener down into low-theta. The title song, INVISIBLE PRESENCE, is a 20 minute offering of extremely well done space music on a par with Jonn Serrie's planetarium music. I could use this piece in a set that also had recordings of actual interplanetary space: it provides a feeling of cosmic vastness while still apparently centered in the heart. This album seemed to me to be in the DELTA /THETA frequency ranges, very relaxing and not alert, easy to slip into slumber. INVISIBLE PRESENCE is about reconnecting to the Higher Self in a more conscious way. DARV KRIZTON, VISIONARY MUSIC, USA. I am aware of the place where I am & of the manner in which I am sitting, I am aware of being in my room. A few instants later, I directly perceive the outside of my room: the street out there, Spain, the unity of the whole & I can jump like if I was on a trampoline, & I jump until I feel totally immersed in empty space. I feel so light; I am impregnated with an indefinable subtle essence, gently floating into an immense ocean of energy. Now I am contemplating bubbles of energy that explode and liberate multiple geometrical forms as well as countless colours all different one from the other. Now I try to have a more precise self-perception and I feel I am at the same time « myself and the whole” I exist as a separate being but not a solitary one. While manifesting the first form, the first figure becomes denser & takes well defined contours & all those that succeed are quite subtle, I have the impression that they are « first energetic sketches » of future incarnated physical forms. This vision is hatched by numerous series of other leaflets floating in a transparent magma, these very subtle leaves emanate light out of themselves, and they are not lit from the outside but from the inside. Now I am watching my first « leaf » & I realize that in the rest of the leaves floating around I feel the presence of familiar beings : members of my family, all those surrounding me in my life as well social as professional & I also notice that in the leaves that are in the background there are some beings yet unknown to me that are waiting to take a physical form & manifest in my existence (life). I also recognize myself in these leaves, there I am and I realize that we are all interdependent and that there is no separation whatsoever but, at the same time I have a sensation of absolute freedom like I never experience up to now in my life ! I want to stress the point that I did not know the CD title before listening to it. 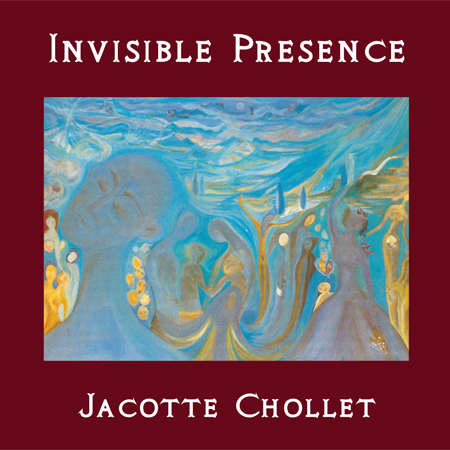 One day, my husband brought me a CD : INVISIBLE PRESENCE that sounded very unusual even strange, but I soon felt that when listening to it I was surrounded by a mysterious energy that was litteraly holding me, carrying me, transporting me, & I realised this was a decisive encounter ! Soon INVISIBLE PRESENCE was « on » almost 24 hours a day at home, studying turned into a joyful experience ! I have discovered since your other CDs that I listen with great pleasure, but whenever I have a problem to solve, or an important decision to take I listen to INVISIBLE PRESENCE and my spirits clear up, my intellect becomes performant and I feel comforted by this same mysterious energy that I felt the first time I listened to it…. Music of the now, origin and ending of time. Thank you! We are so much more gifted than we think. Your music is a music of freedom, it renders the listener more independent and more transparent,as vibrant as crystal. Intense thanks! For a few instants of eternity, a veil lifted up. Each cell from my body was playing and resonating, and being enlightened at the same time, they were dancing . My body was at the same time the instrument playing it and music itself in full plenitude. Time had stopped its course, the immensity of my field of consciousness was such that I felt shear delight, my perception of what life really is was expanded. I was bathed into a fairy like dimension made of LIGHT. Unforgettable experience generating great joy and incommensurable peace. I think this music describes the space in which worlds are in motion. Sounds and musical phrases don’t evoke anything from the earth; we can hear a cosmic origin in the music. What is certain is that it reveals to me all my blocking (a huge repressed anger). What strikes me is that from one listening to the other one does not remember the music: each time I have the impression I am listening to it for the first time! This strangeness attracts me, this music is “inhabited" & “alive", it nurtures us and transforms us. May be it will provide a definition, a real criteria of what is to be considered as “sacred" in the times to come. No doubt that this new kind of therapy proves adequate to help developing our “metabody", as it should be for today and tomorrow. Be assured of my gratitude for the work of transmission that you are doing which is also a gift of yourself for which I am grateful. Listening to your CD was listening to the “song of the universe" & it brought tears of joy in my eyes! Never before had any music given me this extraordinary feeling: to be at the same time in my own heart & in the heart of the world. This dialogue between my self and the universe culminates into a deep feeling of reconciliation between the sacred world and the material world! What a deep emotion to be back “home in a sonic jacuzi!" For me your music opens to the Divine as would a realized master do. The end part of your CD INVISIBLE PRESENCE is highly efficient & powerful enough to induce detachment from the body as well as the track called “Expansion" in your CD RENAISSANCE during which audition I have experienced, for a moment, being a “witness"which is the real way of functioning of the SELF. After a 3-month intensive listening of the INVISIBLE PRESENCE and RENAISSANCE CDs here is what happened and which is just “unbelievable”! INVISIBLE PRESENCE CD: when I started listening, I would feel aggressive. I had the sensation that the CD was “turning too fast”. The following days, tears would come to my eyes night and day, on and on. I revisited scenes of my childhood “in black and white” and IT IS THEN THAT I REALIZED THE EXTENT OF THE SUFFERING that I had held back! RENAISSANCE CD : I have felt an immediate effect in the backbone area, as if I received a massage on my back and on the nape of my neck which would unknot my big tensions. Your CDs have an undeniable therapeutic effect ! Many thanks to you ! HOLY MOTHER/FATHER DIVINE!! THIS IS THE REAL THING !! 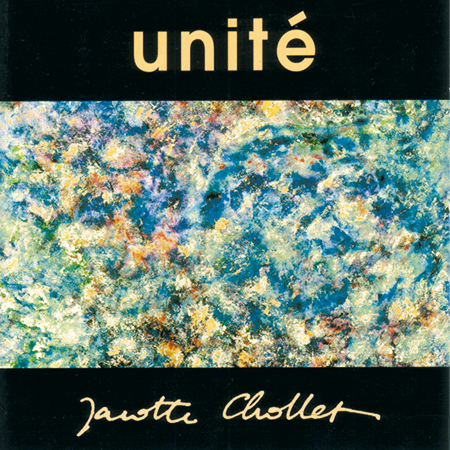 AFTER 2 YEARS OF GOING TO HER WEBSITE AND THINKING ABOUT IT, I FINALLY ACQUIRED ALL 10 CD'S FROM FRENCH VISIONARY SOUND ARTIST, JACOTTE CHOLLET. LESS THAN 30 SECONDS INTO LISTENING TO THIS FIRST DISC IN THE SERIES, “RENAISSANCE" I FELT LIKE I WAS COMING ON TO AN ENTHEOGEN, COMPLETE WITH THE INITIAL ANXIETY AND SUBSEQUENT DILATION OF MY PERSONAL CONSCIOUSNESS. without chemical assistance, mind you.) A vision comes to me in a dream indicating the root area of my chronic physical pain. I am shown EXACTLY where the problem is, but realize that there is some work to do to be able to unpackit. The 10 minute third piece entitled, “Expansion" begins with an palpable wiggle in the third eye which builds into an interesting Enoesque environment that is quite distinct from the previous two pieces. By the beginning of minute 2, I'm feeling distinct SHIFTS in my head as, so it seems to me, the cranium adjusts to the sound envelope. The last piece, “Renaissance," is a “third eye" work-out. Photonic swirling is ricocheting inside my cranium for eternity and it feels great! By the end, my head feels clear and I seem much more focused in my attention and more Present. I found this recording to be a profound energetic experience. On repeated listen, completely new aspects keep leaping out with each listen. If I close my eyes, I get recognizable Visions. I've been sleeping more deeply and my dream life has become more active. More on THAT later! If I was to try to qualify it, I would say this disc is about being OPEN TO CHANGE. When I listened to the first track, I had an intense experience.I had intentionally missed the description of each CD, TO MAKE SURE THAT WHAT I FEEL is authentic, not prompted by the information and experience of other people. Visions started almost immediately. I saw my 'double' sitting cross-legged, just as I was listening to the music. I felt overwhelming sorrow, then pink lights appeared around my 'double', then entered through the heart. I 'knew' that this was the energy of love I lost – now it was coming back to me. Then the pink ray of light shot out of my heart through the back. I could see the vortex of energy, entering my heart in spirals, and exiting at the back. Then my 'double' started to spin and was sucked into a vortex of greyish-white tunnel. As track 2 was playing, I felt deeply relaxed, and sunk in and out of dream-like state. By force of my will I entered into the library of my subconscious believes. I took books, volumes containing negative self-image. They were entered into a 'psychic' shredder – which looked like a standing wall of light. I could feel the released, emptied space, vibrant and full of energy. At some point, certain note entered into my right ear, I sensed the pressure on the right side of my head for about 40 seconds. As track 3 started to play I was in trance. I used it for self-hypnosis, positive affirmations. I also had a vision of looking at the source of my emotions. It was a stale pool of dark water. THEN as if by magic it cleared, and turned into a clear spring. During track 4 I am more alert. I had a sensation of being invaded by some energy, it make me feel disgusted and physically I felt sick. I 'saw' this energy being washed away by rain and running through the gutters. I asked Earth to absorb and clear it. Almost at the end I had peculiar vision. I saw myself to be a string of light in elliptic structure all made of strings. Music of the 'RENAISSANCE' plays me. I see myself vibrating, sound is the 'player', but I am producing the same sound simultaneously. It is a contradiction, it is logically impossible, but this is how it felt. second listening of CD RENAISSANCE. Generally I noticed that after listening to Multidimensional Music before sleep my dreams are more vivid, colourful, and I can remember them in detail. I am also more aware during the sleep, so actually able to say myself 'Now I AM DREAMING. Remember what you see'. Also as I am going through difficult time in my life, at times I suffer from attacks of anxiety and uneasiness. Listening to MMD lifts these feelings and give sense of well-being. As I listened second time to a 'Renaissance' to my amazement, I heard it differently ( !!) – as if on the background there was an orchestra performing a wonderful symphony with violins and flutes. I did not hear it like that again though. I think that your music made it possible for me to experience what I knew only intellectually from studies of Buddhism, in my blood and in my whole being. Than I saw how when awaken I would perceive reality – as a computer programmer of a virtual reality. As in the film 'Minority report' I saw myself touching the virtual screen and having instant access to detailed information on anything I focus on. As soon as I put the CD on I felt the presence of archangel Mickael alongside with me and I saw my self by a cascade of clear water : I dived into the water & was attracted towards the depth by a light : an immense oyster was there wide open (it was exactly the same scene as the famous painting : birth of Venus) and there a voice told me to lay down & I could hear the words : « be rebirthed in love », but, as I wasn’t feeling totally secure dolphins came to swim with me and comfort myself. I was almost immediately touched by the sweetness and the infinite tenderness emanating from this music, I was enveloped by a feeling of love both feeding me & urging me to keep on listening. An incredible richness of sounds so new to me was overwhelmingly fulfilling me, beyond any expectation. The sufferings and pains I was carrying in me since I had stopped playing piano faded away and were replaced by magic and wonder. It did not take me long to understand that an important part of my being was resurrecting, I was exalting out of inner joy. This music caused me to experience specific physical sensations like the triggering of old known painful spots after accidents followed by their gradual disparition, but also very old shocks reawakened & imerged from my unconscious (I had no conscious memory of them,) waking me up from the deep sleep I was in. At once, I felt a neat improvement of my energy level, but also it enhanced my capacity for endurance and kept my spirits high. I am now better balanced & I even became able to sustain episodes of deep peace, even serenity. Listen to this music inspired from the “heart of the world" & exhaled on your life. Let the dance shake your inner old clothes and transform them into “enlightened dawns", while bathing into the vibration of love you will be vivified & born again to yourself. Then, you can acknowledge the “grandeur" which is encoded into the human reign & you can start working for peace, harmony & love. When I discovered this music I was at once attracted to it because of its sparkling quality of vibration that it provided me. This music addresses to the global being including the cosmic dimensions of the universe. 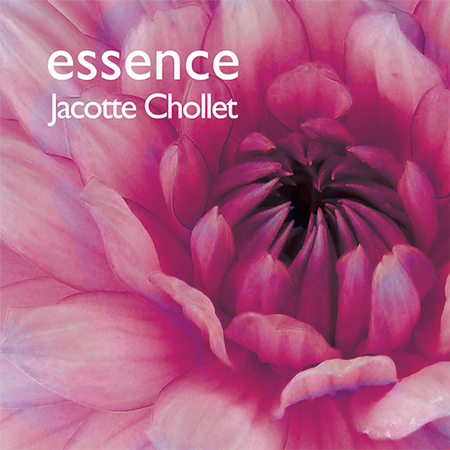 I am quite aware of a number of “relaxation" music but those of Jacotte address to another form of perception, they awake and connect to the body structure. Each time I listen to them, I have a vibrational experience and I experience gratitude and joy, I see colors and progressively I feel my body is re-harmonizing. I listened several times to your first CDs, & it was really pleasurable, RENAISSANCE made me shed “tears of joy". Your music made miracles, it caused emergence of emotions & pains I had experienced during my chiildhood & which were well hidden inside, you music made me consciously reconnect with myself. Thank you for the richness that I found in your music & for the infinite possibilities it offers. It is not easy to find adequate words to express that feeling. I thank you for the autenticity that I find in your work, it resonates into the other and offers itself as a gift to those who can welcome it. May your work be able to connect those who are looking for a new chance to be born to life! I immediately had the feeling I already knew this sonic piece, I recognized it . Your music immersed me back in the blissful, tender, blue waters, those warm light waves permeated with the sunrays of dawn. And the rising sun in the horizon was a huge rosy-white rose with crystal drops of dew or diamonds on the edges of its petals. And the music was waving, caressing me in the warm, tender, turquoise waters, while the rose-sun was shining and calling me so lovingly. But your music returned me to that dream and I experienced it again at my 63 years of age when that composition was playing! Thank you for your work. I was glad and privileged to experience it. I wish you further achievements. IT IS EXTREMELY RELAXING AND IS A LONG SUSTAINED “DELTA SLEEP VOYAGE" HEALING THE LISTENER BACK TO THE WHOLENESS AND ONENESS OF ALL BEING. I FELL ASLEEP DURING THE FIRST 3 LISTENS OF BOTH RESPECTIVE DISC: A TOTAL OF SIX PASSOUTS! COULDN'T EVEN STAY AWAKE WHEN I WAS TRYING TO. AFTER THESE 6 LISTENS, I COULD NOT DIFFERENTIATE THE COMPOSITIONS IN MY MIND OR MEMORIES. IT ALL RAN TOGETHER. IN ORDER TO WRITE THE FOLLOWING DESCRIPTIONS, I HAD TO LISTEN TO THE RECORDINGS UPON ARISING FROM MY NIGHT'S SLEEP AND WRITE MY IMPRESSIONS DOWN IMMEDIATELY. EVEN THESE SESSIONS HAD TO BE REPEATED OVER A NUMBER OF DAYS, FAITHFULLY IN THE MORNING. In the waking state, one has a physical body; when asleep, and dreaming, one has a “dreambody" or “subtle" body; in dreamless sleep, one enters into a formless state, the “causal" body, in which their is only an infinite Vastness of pure nonconscious awareness. The Vedics called this reality “Alaya" and said that in deep dreamless sleep we are closest to our true nature — the pure awareness of the Alaya — and in simple natural bliss. This reality has been given many names I think: the Qabalistic “Ain Soph," the Buddhist “Svavabhavikhaya" and the Western concept of the “Great Void," an Immense Emptiness of Absolute Potential from which all form (or rather the experience of form) arises as the “Oneness." This is Unity in its penultimate sense. This album provides the listener with an opportunity to touch and to remember touching the Oneness. I told myself keep on listening ! thank you! Thank you so much Jacotte! ABOUT CD UNITE/CD1: L'AMOUR ROI. Tears out of recognizing something sacred, a soul rhythm that my mind, heart, body and soul have been hungry for. I was a sea swan lavish on the currents of an ethereal rhythm. Reverence, tears of gratitude to be suffused by these transcendent chords. I was transported to the part of me that resonates with divine life force energy, call it what God may ! Everyone in the healing arts &, expansion of consciousness field needs to experience the mysticism of this music. When I had the privilege to listen to your last compositions, I was sitting in an armchair with my eyes closed. I want to tell you that the 1st thing which strikes me as regards your compositions, is that most of your musics are of an extreme beauty, a beauty which instantaneously fills me up and triggers in me a kind of orgasmic pleasure as well as the sensation of hovering in the room as if I had left my body. I noticed I now have an organic need to listen to your music. For a few months, Mozart in his pieces evoking joy as well as certain Techno pieces from Cox enchanted me until I felt sheer saturation. Yesterday night, feeling the blues, I play your CD UNITE, and it was magical ! I experienced total plenitude something close to what is evoked by Krishnamurti and that emanated also from your other CDs. EXPERIENCE WITH CD 2 : MYSTERE DE LA VIE. I feel a sensation of inner motion inside my body, I feel an ondulation, my body moves like a big S.
I notice these movements & I have the impression I am becoming a big serpent that moves not on the ground but in space. Then this serpent looks at me right into my eyes, as if it were in 2 locations at the same time, inside me and facing me. The serpent’s face, I don’t remember if it was a cobra but I know it was big! of sounds with multiple harmonics going from bass to treble, creating complex vibratory movements. The musical result is harmonious but generally gives a strange feeling and provokes emergence of emotions and ideas that gradually replace the ordinary flow of consciousness. The effect is undeniable, for instance, when listening to the track called CHRONOS in the CD UNITE, after the habitual feeling of the flow of time had dissolved we were floating in a suspended time. PR REGIS DUTHEIL. QUANTUM PHYSICIST, MEDICAL DR.
of shining stars, my body was the sky, the universe and all of a sudden a golden geyser sprang from my heart, pure Joy. a helmet, I feel an intense cold inside. 3rd night: a subtler numbness accompanied by sadness, insatisfaction and frustration. Next morning, I feel a headache. I meditate in the rising sun and all of a sudden I understand why and how I have been suffering and accept it. At last! I am impressed by your works UNITE, RENAISSANCE and INVISIBLE PRESENCE and by the effects they have on my entire being, body and soul. In the past, I used to suffer from dizziness, headaches, anxiety, I would withdraw into myself and it had become unbearable. I listen to your music as it were every day and since then by miracle a huge TRANSFORMATION occurred, my health troubles have disappeared! Your music calms me, makes me serene and at the same time fills me with renewed energy. I feel both more dynamic and more serene. I SWEAR MY TOES WERE CURLING BY THE SECOND MINUTE OF THE SECOND SONG & THE REST WAS A FEAST FOR THE SENSES. SO IT IS QUITE ACTIVE AND ENERGIZING, WHILE AT THE SAME TIME BEING VERY SUGGESTIVE ON A VISUAL LEVEL. The ten minute, “Oratorio," takes us to the Sea of Light. This entire sequence is so well arranged and executed, I'm pretty much in awe by the end. The fifth track, “Cosmic Love," There is an intense sensation of deep love and I check my heart chakra only to realize — !! — this is in the crown chakra and I'm about to go over the falls into ekstasy!! o man!! The final piece, “Space Song," is 17 minutes beyond the threshold in a paradoxical realm that the inner voice says is where Will originates. This is not simple galactic or transgalactic space. This is more like the Pleroma or the Logos: Void of Absolute Potential. I had in first line very healing experience, I am epileptic and after listening the music I always became more peacefull, better concentration and in general more imune on stress. For me is good to listening in the evening, before sleeping, cause I already have natural tendency for out of body experiences, my trigger for epilepsy is in the right side of the brain in temporal lobe, also called God module. I am also artist, writter and theatre director and in the moment I am busy with topic Future from anatomical and visionary point of view and I found your music very familiar and powerfull. While listening CD CREATION, I felt less tension in body, lower temperature in head and got very inspired, felt almost connected with intergalactic Being. But on the other side, I can't listen this music more than 30-45 minutes in a day, few days in a week, cause I can get pritty ungrounded and than I have this light head feeling. This are my very short impressions, have a nice day, Greets ! Your CD CREATION –interests me most- it develops in myself an inner vision of colours and invites me into a kind of lucid dreaming filled with beautiful visions, these inner visions are so alive & so clear that whenever I contemplate them I have the feeling to be in another world filled with wonderful landscapes (as is mentioned in Yoga Vasishta). Bravo for creating such music! I am really grateful, thank you ! When I listen to your CD CREATION, I feel tingling in my face, my chin, my upper lip & in diverse places in my body : in my trunk and my limps. I feel activation of energy circulation, energy is visiting my head: I feel circular motions on my forehead, in between my 2eyes, in one of my teeth, then energy is activated in my left kidney in my neck, in my throat. This “energetic visit” of your music inside my body is quite amazing for me! When I was listening to the last track of your CD all my body became “MUSIC”, I felt dazzling points of light pervading all my cells…Then I felt my body gradually sinking into the earth like if I had roots growing. Then your music circulates intensely with dense energy all through my body, deep into my abdomen, my spine and I can watch what’s happening to me on my psychic inner screen at the same time! I am so grateful to you for your creation giving us all these incredible experiences, this is a “fantastic adventure” of self discovery. Since I have been listening to your music for one hour each day, I have been « psychically visiting » some of my internal organs that were suffering and needed care, when this happens to me, I send love to them & I thank them : bladder, spine, neck, base of skull cap, intestines, heart, thyroid I have really felt them & visited them. Your music provides thrilling “journeys” that restore our health and are really costless ! Track 1 Heaven : She felt that her subtle body was enlarging, expanding, she was like « suspended in space » and was feeling very, very light. Track 2 Magical : she felt that her feet and her legs were moving like if they had a life of themselves independant from her will, she also felt that her third eye was reacting, she could feel a kind of « pressure » on it that made her aware of that specific energy center ! She felt quite « at ease » with the music. First, I felt my body vibrating, like an energetic massage that released the tension and then turned my body into a sort of cold stone that was heavy and felt like a tree root grabbed into the earth, with no apparent movement. a sort of white channel pointed to the infinite sky. I felt that I was giving and receiving information at the same time. Then a lot of images flashed into me, some of them I can't remember but the one that remains is a sort of architectural tomb like the interior of a mandala with green and yellow colours that had a lot of energetic clouds, like wool, that were flying freely in a sort of a “chaotic" spiral. Thank you very, very much for all of the music that you are giving and sharing to people. They break all the defences that we have, and all the heavy stuff that doesn't allow us to dream and to fly like a balloon when he frees the sand bag's. Your music expands our “self" and enables it to connect with divine, indescribable phenomena. He was a sort of angel and he saw his coffin in the ground and he was flying with angels beside him playing with those triangle metal instruments. He saw some sort of “bad" souls that looked like “bats" that were flying underneath him, in the bottom and very far away. He said that the images of the angels were the important thing in life and that life underneath is a sort of a game. in a crystalline world, sometimes I felt worrying and scared, but not threatened. These worlds were serene & plentiful. Different songs led to different worlds, some of which were lit up with crystalline blue lights, others with intense golden white shrines. > Once I even saw myself opening enormous temple doors that revealed large treasures. In the last song I was descending back to earth like a cosmic knight in shining armor. It felt like I was diving head down but I landed swiftly on my feet, before I started walking. In the breaks between the songs I could feel my heart was oppressed. The session was nevertheless light, calm and a general sense of well-being was flowing. I am emerged into the heart of Creation, a multitude of sounds spring & break out, an incredible palette of fine, delicate tones that I have the feeling of knowing for ever & to find back in order to nurture myself. All of a sudden, I realize I am smelling a strong fragrance, a rich & powerful odor, sort of mix of vanilla, honey, banana & sweet spices. I experience a marvelous state of inner peace & harmony. Thank you for providing me with these “moments of eternity" & to help me travel into the heart of myself & of the Universe. This was my 1st exposure to Jacotte's music and it was in a large room with several other conference attendees. I felt an opening of the pineal gland which at first I did not want to validate even to myself, but in discussing the music with another friend Joan KING and hearing that, she too, had felt the music in the pineal gland, I was comforted and excited at the same time . After a day spent shoping, I listened to CD RENAISSANCE, I found the music soothing and healing. There is a spot in my spinal column where I believe the inflammation from multiple sclerosis is concentrated. > This time, I distinctly felt the tension on the left side of the scar. I remember thinking that was odd but could not find any other significance to the sensation. Other than that, I find the music extremely relaxing. THIS IS A LONG DRINK OF LAVENDAR NECTAR TO BE SURE! NOURISHING AND COMFORTING. LIKE SLUMBERING IN A BED OF FRAGRANT FLOWERS. AFTER THE VERY INTENSE TRIBULATIONS OF THE FIRST 3 ALBUMS, GETTING A LOT OF CONFUSED ENERGY FLUSHED OUT AND SUCH, AND THEN THE MAGNIFICENCE OF THE CREATION DISC, THIS IS A WELCOME EXPERIENCE OF GENTLE, TENDER CARING AND UNCONDITIONAL NURTURE. The album opens with “Silent Light," a savory 15 minute THETA journey to the Bright World. On the wing of Prayer, we sail through the glassy sheets of Light to the Heart of an ever-arriving Dawn. A gentle, healing, nourishing swathe of the Unio Mysterium. “Awakening" is a 13 minute piece that lures one from the precipice of slumber into an active dreaming somnolence — the paradoxical “mind awake; body asleep" state. This composition serves as a bridge, as a calming period between sections of the album. It allows the slumberer a little time to absorb the previous material, get centered and develop a clean dominant brainwave for what follows. Which is the epic 22 minute “Tao," which is a wonderful DELTA environment. Even though it is slow and sleep music, there is a lot of energy and goings-on here! Probably the gentlest and most lovely of the MultiDimensional music set, I love to go to sleep to this one. sweet like honey. DARV KRIZTON, VISIONARY SOUND ARTS. Hello, I have enjoyed SILENT LIGHT, very much… the first track, gives sensation through my body, the second, is more in my head.. the third brings out emotions… great stuff. Thanks ! For me listening to this CD was connecting me with superior intelligence filled with pure love, I could feel this connection in my head. At the end, when I stood up I felt dizzy for some time which is perfectly normal after such a shift in energy ! What an experience !! 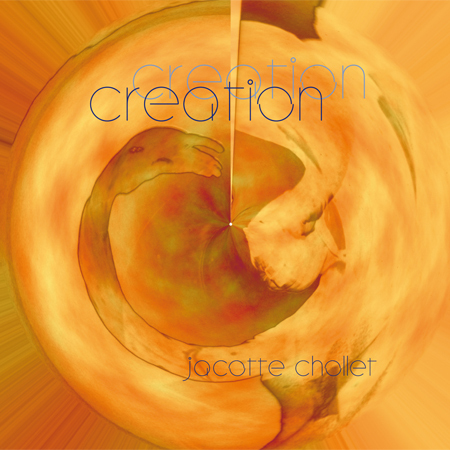 Jacotte's music has the same effect as an entheogen. EACH STEP THAT I TOOK WAS FLOATING IN SPACE–THE MOST IMPORTANT EFFECTS TOOK PLACE AFTER LISTENING TO THE MUSIC! I BELIEVE THAT IS ONE LISTENS TO THIS EVERYDAY THAT HE WILL BECOME COMPLETELY TRANSFORMED, INTO HIS TRUE DIVINE SELF. 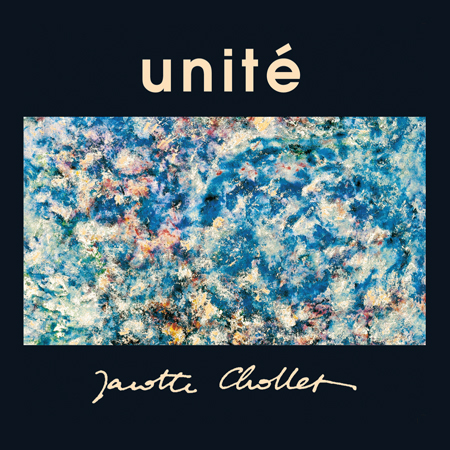 I HAVE BEEN RADICALLY CHANGED BY JACOTTE'S MUSIC–AND I EAGERLY AWAIT HER NEW MUSIC TO SEE WHAT EFFECTS IT WILL HAVE–AND HOPE THAT SHE HAS LEARNED HOW TO TRANSMIT THE CHORDS OF ENLIGHTENMENT–THAT WILL BE PASSED AROUND THE PLANET–AND TRANSFORM US INTO OUR ETERNAL PERFECT SELVES–THAT WE MAY LIVE WITHOUT SUFFERING AND FEAR FOREVER, AS WAS PROMISED, AND THAT THIS BEING, IN THE BHUDDIST SENSE IS IMPERMENANT–INFINITE NEW SOUNDS, FUGUES, AND FORMLESS PATTERNS WILL BREATHE WITH US WITH THE BEAUTY FLOWING DOWN FROM THE ONE AS PLOTINUS WROTE. 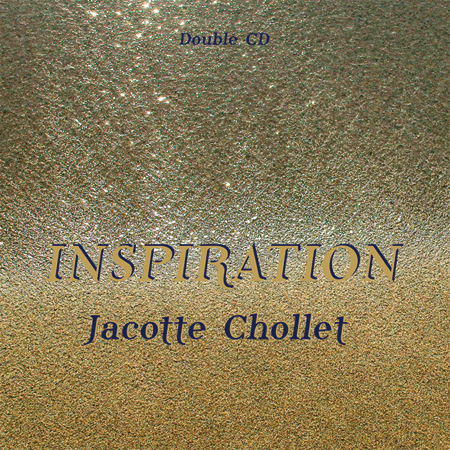 JACOTTE IS A GENIUS OF SOUND AND BEING AND LOVE. I AM DEEP WITH GRATITUDE FOR THE BEATIFIC FORMS IN WHICH I HAVE BEEN TRANSFORMED INTO MUSIC AS A MODE OF BEING. A little feedback on your wonderful music which I have not stopped playing to the extent that the rest of my CD collection has been totally redundent! > After only 10 seconds of playing SILENT LIGHT, the room became white light with vibrations rising from the floor upward creating a very noticeable sense of airiness and peace. I laid down and was transported “off elsewhere" immediately and felt floaty and calm. > I became aware that the music enabled subtler higher vibrational intelligence to connect and resonate with the subtler energies of my spiritual self and seemed to act as portkey or doorway for spirit healers to come thru and work. it must be promoted ! In the beginning, I felt it was difficult to concentrate while listening to this music as I kept comparing it with other music. Nevertheless, after listening to it for 15 minutes, I felt strongly attracted to the music and experienced a song of love was being played which I could not deceive, I felt the sounds were a mean of conveying this love which was coming from somebody, (I thought of Jacotte as a source). After that, I kept experiencing the same stream of consciousness that is to say: peace, plenitude and harmony. Up to now, I had been incapable of experiencing these feelings in such a focused way and without effort. I had the feeling I was being “hooked" by the sounds of this music and all my previous thoughts and reflections were suspended. It's the first time I have ever been able to sustain such effortless continuity in my stream of consciousness. As soon as the first tones, I was “taken away" like a feather. On one side I was really wondering what was going to happen to me, & on the other I was curious to discover the unknown! I experienced a lot of different vibrations across my body, giving me a massage from feet to head.. I could see coloured spots appearing & disapperaring, small at first , & growing bigger before transforming into the next one… An intense violet colour, so deep & beautiful! A few minutes after, I felt I was being lifted by an incredible power. I was in a group of 8 people when listening to that music, & not only did I feel the huge power but I could clearly see the whole group of people being lifted at 2 or 3 meters above the ground ! Then everything started to turn & turn & it was so impressive that I opened my eyes in order to check if everything was still here on the physical plane! This violet sky was hovering high above me, it did not look like a normal sky, it felt narrower, but it was so strikingly beautiful that I was amazed! The trip ended there, at the end of the track (SILENT LIGHT n° 3) , my body became heavier & heavier up to the point that I felt I was sinking into the ground. The landing was equally striking than the taking off! AFTER 2 VERY JOYOUS AND RELAXING ALBUMS, THE THEME OF “DISCOVERY" AND “SPIRITUAL DEVLOPMENT" IS REJOINED IN SKY DANCING. I FELT LIKE I'D BEEN TO CLASSES ON PERSONAL POWER AS CREATIVITY AND ON HOW TO RECEIVE NURTURE AND UNCONDITIONAL LOVE, AND NOW WAS GOING TO LEARN ABOUT RESPONSIBILITY: THE ABILITY TO RESPOND, TO SEE THE WORK BEFORE ONE WHICH NEEDS TO BE DONE AND TO ENGAGE IT AND TRANSFORM IT. 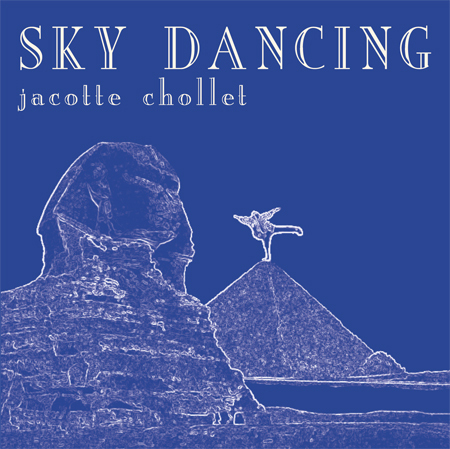 > THIS IS ONE OF THE MOST DIFFICULT ALBUMS BY JACOTTE FOR ME TO DESCRIBE BECAUSE ITS QUALITY IS SO “SINE QUA NON." This shorter piece is a low-to-mid “alpha" introduction to the environment on this disc, which is sort of a culmination of the previous two and introduces a higher vibration which is articulated through the rest of the series. The title track SKY DANCING is about 10 minutes of Ascent, where Divine Nectar is also descending from the higher realms Beyond the summit. After a few minutes, we alight upon the head of the pin, so to speak, and are surrounded by an incandescent, rarefied atmosphere, filled with geometric lattice lacings that are at once crystalline and electromagnetic. we are so Light we can float in the medium. It is dancing all around us. the sky is dancing. the heavenly vault within. Amazing. The 12 minute, “Infinity," finds gliding down the endless mirrored Tunnel of Light, with the bright Gleaming of the pinnacle of Flight beaming from the end up ahead to us. We are flying. flying into the Eternal Oneness beyond the neverending. I have had diverse experiences with this Music, but the most significant for me took place while listening to your CD SKY DANCING. From the start my being is aware that I am in another dimension of consciousness: I am in another space, there is no light but curiously one can clearly see. All of a sudden I feel I am turned backwards & pushed upwards, my body is covered with a kind of skin of reddish & golden colour. Then I realize that I am inside a sarcophagus & I feel somebody presence around, but I could not see that presence. I do not feel frightened at all, I know that I am dead but at the same time my being is aware that it is alive. I felt calm and relaxed; my attention was attracted upwards to the cover of the sarcophagus covering my whole body. Shortly after my own experience with CD SKY DANCING, I journey with the same music with one of my patients without saying anything to him about my own experience, but strangely, he saw himself in old Egypt incarnated in the figure of the pharaoh Ramses. He saw many different episodes of his own life as well as another person that was guiding him and instructing him; This very special teaching was bringing a lot of emotions to him as well as to me. re source and become channels. Your music causes a little revolution in the world of Musicotherapy and initiates a great step for humanity at a time when we are all confronted with the challenge to open up to the fourth dimension. This music is a precious tool for accomplishing this new step. While listening to SKY DANCING, I experienced intense cold and the feeling of being in outer space, no longer tied to the domain of gravity. I saw myself flying & swirling like a bird, the music felt like it would never end, space had become infinite and time had become eternal. Later on, I also experienced being the music itself, each one of my body cells dancing and being illuminated at the same time. My body was totally etherised. No doubt, this is the most beautiful experience I ever had with your music. Thank you, I am grateful for the work that you have accomplished which helps humanity to enter into a higher dimension. While listening to this CD, I really had the sensation of living at the same time in different dimensions. After the session with the music, I experience more harmony, I feel more inspired & intuitive. I can assure that listening regularly to this CD does not only bring harmony but I have to say that it is my own body that is calling for it! SONIC QUANTUUM LEAP PROVIDES FRESH CHALLENGES ! THE THREE COMPOSITIONS ON THIS RELEASE ARE “SPHERES" OR VIBRATORY FIELDS OF LIVING INFORMATION. WHAT I CAN TELL YOU IS THAT THIS DISC IS LOADED WITH SPIRITUAL INFORMATION ON A VERY HIGH LEVEL WHICH IS ABOUT, BASICALLY, HOW EVERYTHING CHANGES BUT CHANGE ITSELF, AND NONE OF US ARE EXEMPT FROM INEVITABLE TRANSFIGURATIONS OF OUR OWN BEING. The first “Sphere of Love" is 20 minutes of intense synthesis which is loving, but not in the safe happy angelic way one thinks of heavenly love. This is deeply transformative vibrational biofeed of spiritual essence. Around half way through, my spine suddenly arched and my lumbar and lower thoracic vertebrae all crunched into a new alignment. Only rarely have I ever experienced such a full scale vertebral realignment and NEVER while neither being worked on by a therapist nor actively stretching or exercising. During the last 5 minutes of this piece, it felt like smart cards of neuroinformation were being inserted into my vertebrae. All I can say is that these affects appeared to happen all on their own, there was no conscious decision: it was almost like someone had “cracked" my back for me. The second piece, “Sphere of Origins" is 13 minutes seemed to draw me down and further inside my energy to a place where bioenergy seemed to appear ex nihilo (out of nothing.) I then noticed that I was somewhere inside my cranium. I was aware of the tension in my skull and it was being “frothed" away by some arcane process whispering in my ear. The last piece, “Sphere Of Evolution," is 26 spectacular minutes of exotic divine synthesis on par with David Parsons' most sublime Tibetan astral travels. I don't think I can describe this piece adequately. Lots of incandescent gas in a realm completely off the human scale with gigantic structures that seem to instigate fundamental transfigurations. It is like there is an avalanche of information that my conscious mind can't grasp, it wants to get out of the way and let the unconscious processes integrate it. My current theory is that this album is dedicated to the titanic forces of Transformation. Sometime when this happens, I take tablets but they generally don´t help that much and I don´t want to take strong medicines. So, I went to lie down and I listened to your music and felt asleep. While I was asleep I felt that I was hearing the music too ! And then, in my dreams I saw that the music was creating a very warm ball of light in front of my belly and that this ball of light was spinning was growing bigger and bigger… Then the ball of light exploded and I felt all the warmth coming out of it into my belly. It was like I had absorbed it and the ball started started again to grow bigger and bigger like it did in the begining, first like a little point in front of my belly and growing and spinning again and exploding again and starting again, and so on a few times. This ball of light was being created by your music while I was listening to your CD HIGH SPACES. It was a wonderful sensation, when I woke up I was feeling wonderful, all the pain had vanished and it never came back!!! You know, it was very strange because I wasn´t thinking about that and it happended while I was sound sleep, so it was really weird ! It was like I was re living this scene ( that I had no conscious memory of), but what was even more incredible was the actual unbearable pain that I felt in my arm ! The pain finally disappeared after I had listened 3 times non-stop your CD HIGH SPACES ! It came back to my mind that a few years ago my arm had already given me some trouble : for a period, I could no longer hold anything or sustain any object with it. Anyway, after three sessions of listening non-stop, I felt my hand was denser, more energetic, more fluid. From now on, I can feel my arm muscles and I can use my arm to carry heavy objects. As I had absolutely no idea why my arm appeared to be so weak, I am even more surprised by this experience that happened to me in resonance with your music, as I am now aware of the fact that what happened to me was a karmic healing. But in fact, no words are able to give account of the true effects of your music. I thank you infinitely ! You are clouds air light. 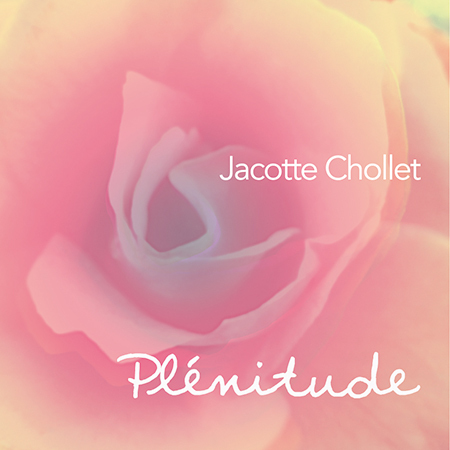 A slight, genius of a Platonic feat by Jacotte. I can watch a supernatural light & I feel the presence of beings of light coming from another galaxy, they are surrounding me. I ask them to help me as I am (in my actual life) in the process of working out & evacuating informations that I have inherited from my family background & that I want to get rid of. These beings of light transmit to the DNA double spiral a specific & unknown to me green light mixed with a violet color of a supernatural luminescence. The color gradually impregnates the DNA spiral , cleans it out, purifies it, energize it activates the codons which are dormant as well as clearing the psychic stuff that is encoded into my DNA. Then, I express deep gratitude to these luminous beings & with regret sthe experience ends when the track ends! 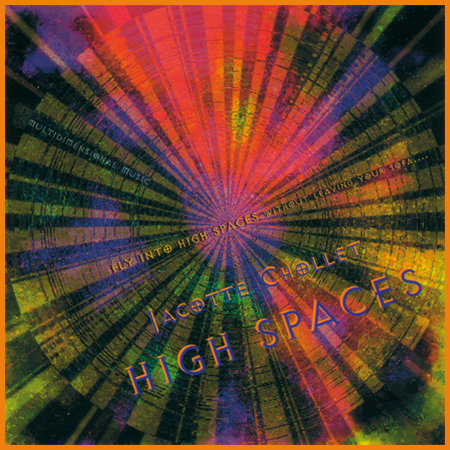 While listening to your CD HIGH SPACES, I felt I was elevated by a white light straight into a high space very high above the earth. It was like a tower, I first entered a little room that had a few persons in it & then I penetrated into a wider room. It was full of rose, blue & white colors mixed together. It all looked like a big cilender and everybody present there was linked together, dedicated to love and to spreading that love everywhere, and I know this is a place where everybody can go sometimes. he was alone in the big room and he was absorbed in his work, he was in an elevated state & he could see everybody underneath him. It was like if “he was a watchtower taking care of everybody", but there were more like him at this level. He made me see the link between everybody, in our level & in the under levels, we could see everybody & everybody could see us. After that, I left that tower & I wanted very much to go further, up & up, & then I went up, & I elevated even more until I was in the middle of the universe into some kind of emptiness with nobody around, only me & the universe & I felt a breath taking peace! After that I went down onto the earth. This was my first trip with music n° 1 of your CD. 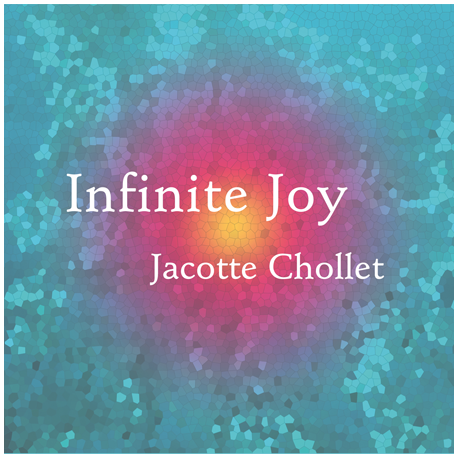 Dear Madame Chollet, Thank you for your wonderful music. I received your CD last month and my meditations have been amazing! As a writer, I truly appreciate other realms of understanding that your music brings to us all. Again, thank you for such depth – I truly cannot thank you enough. I could see a vivid vortex swirling round & round like a tunnel (one might imagine) or like the centre of the earth. When I regained it, I had a tremendous sensation of pins & needles from my neck up to my face throughout the entire duration of the music, & at one point, I felt compelled to touch my face to see if it had altered at cellular level! I am overwhelmed by a feeling of joy, I can watch mountains made out of amethyst and my brain is filled with crystal like sonorities that make my whole body feel very light. Then, I experience a deep feeling of happiness, I experience, at the same time, my real strength and my true inner subtleness. Thanks a thousand time for your music dear Jacotte. JUST-RELEASED DOUBLE DISC DELIGHT ! ONCE ONE GRASPS THE VIBE OF WHAT IS HAPPENING YOU ARE SIMPLY DRAWN BACK TO IT AGAIN & AGAIN. NOT ADDICTIVELY, AS ONE MIGHT GUESS, BUT LIKE BEES TO NECTAR. YOU FEEL NOURISHED BY SOMETHING INTRINSICALLY HEALTHY. “INSPIRATION," IS NONTEMPORAL IN THE SENSE THAT IT IS GREAT FOR MORNINGS, HIGH NOON, AFTERNOON, EVENING AND LATE NIGHT. IT REALLY IS TIMELESS COMPARED TO MUCH MUSIC OF THIS NATURE. SECONDLY, WHILE SEEMING TO BE RELATIVELY SIMPLE IN ITS CONSTRUCTION, THE MORE YOU LISTEN THE MORE THERE IS TO LISTEN TO. REMARKABLE ! AND WHILE IT IS TITLED “INSPIRATION," I ALMOST THINK THE TITLE, “MASTERY," WOULD BE APPROPRIATE. The opening piece, “BALLADE SPHERIQUE" is a curious four minutes of classically-based synthwinds which are “twiddling" in such a way as to create a quixotic or quizzical (?) mood, which is searching yet playful. The nine & half minute “GOLDEN LIGHT" is a beautiful heavenly environment…/… A sonic spiral seeming to glide effortlessly through a tunnel of Light towards the outer climes of Infinity. There is golden Light here, along with a deep royal purple infused Light. “GRATITUDE" is a fourteen & half minute journey down into the inner recesses of the Unconscious. Like a transuniversal womb continually birthing new children, it is continually opening to greater depths which are ultimate heights at the same time. We discover our own nativity in this Vastness deeper than space which is simultaneously within us and coursing through us. It becomes clear that WE are the nascent ideas, the stars of forever, and there is a feeling of knowing we are Home and always welcome. The epic final piece, “SOMA" immediately conveys a devotional temperament. A sky full of newborn stars winking into existence like one lightbulb after another popping on above our heads. A gentle love swirls throughout, caressing our soul and reminding us of the continuous support and aid which is each of our birthright and freely given to us from each moment to the next as we journey through these lifetimes of co-creativity and struggle to achieve the dream of love without end in this realm o beginnings and endings. There is a feeling of having come full circle, of reaching the mountain top and finding ourself already there. It is triumph, homecoming and release all at once! FROM THE TITLES OF THE COMPOSITIONS TO THE MOOD OF THE PIECES THEMSELVES, WE ARE DRAWN INTO A MYSTERIOUS REALM WHERE THERE IS CLEANSING AND TRANSFORMATION OCCURING CONTINUOUSLY AT RADICALLY MINUTE LEVELS. THIS IS ABOUT BRINGING SHADOW TO THE LIGHT OF AWARENESS, INFUSING LIGHT INTO SHADOW, TRANSMUTING SHADOW TO LIGHT. RATHER THAN A FINAL VICTORY, WE ARE EXPOSED TO AN ON-GOING ULTIMATE PROCESS OF TRANSMUTATION AND METAMORPHOSIS. The eight minute, “VORTEX" begins with what seemed like the nesting behavior of some gargantuan primordial avian, perhaps the sunbird. This splicing together of the threads of the nest becomes the whorl of the golden section spiral, a toroidal whirlpool that enlarges to a darkening galaxy-sized object within which we are being drawn down and forward by means more tidal than suctional. This is a very pleasant gliding down and in, which ends in a moment of arrival and focus, before we finds ourselves suspended in a sea of stars. “PLASMA" is a 15-minute sonic silly putty. The starry firmament begins to expand in an elastic way in which everything is moving away from everything else. There is again this feeling of being “stretched out," as if prone on the surface of a balloon which is being blown up. I would call this medium liquid starlight except elasticity is much more emphasized than laminar flow. I usually think of the plasma in outer space as being incandescent fluid electro-magnetism, like liquid lava only completely energy. For the first time, I am wondering if this might be some stellar substance analogous to our blood plasma. There is Light here, but it is more like finely granulated fluid jewels rather than glowing hot molecular gas clouds. There is a sense of one's bodily mass being replotted and slightly expanded to better match up with the corresponding holon template coordinates. In the nine and a half minute,"ETHER." We are first taken deeper down into starless space with possibly some molecular clouds in the distance. There is much less Light here. We seem to have passed inside of a membrane to a more secluded area. We are moving forward to an area where there is activity. This activity is coded at the third eye and the crown chakra, so it is hard for me to describe it. These are shadowy movements occuring across a vast area, but whatever is producing the movements can only be seen in fragments. What can be seen is movement that is familiar to all different forms of animal — insectoid, amphibian, reptilian, mammalian, avian and so forth — yet one cannot piece them together into coherent bodies. It is more like they are embodied processes. This area is quite dark and only outlines can be made out. I'm thinking we're in the Unconscious looking at processes being worked out. Suddenly, there is a cohesive movement and it seems the entire scene is coalesced into a single large crystal tone resonating in the Heart. The 16 minute title song, “ASCENSION" then follows. In the previous music descriptions, I have not mentioned the presiding emotional characteristics of my listening experiences with this album, of which this song is the exemplar: feelings of Mystery & Unknowing, joined with Discovery & Awe and some – a little bit – of Trepidation at moving through spaces so clearly off of the human scale. This piece is revelatory. Now what was occluded is revealed. In this wise, it could be an audience with the Divine, or a return to awareness of repressed Shadow material (I got a healthy jolt of the latter.) I kid you not. Like a sonic “purge" button, that blows out the ballast, this song rather describes an Unveiling process in which even the Veil is of a purpose. “COSMIC POWER" the 12 minute concluding piece, is the gentle infusion of the Light of the occluded One. The emphasis is clearly on the miraculous healing power of the One Light, in contrast to the typical “ecstasy of brilliance" one encounters in Ascension musics, where one attains the pinnacle of the spiritual mount or summit, dazzled and ravished by the intensity of pure divine Light. Instead, this is a teaching on ALLOWING Light to influx gently into one's personal form, to fill the vessel with a radiance commensurate with the vessel's current adaptation abilities to comfortably manage the Light. UN MAGISTRAL POINT D’ORGUE A LA SÉRIE. Je trouve particulièrement remarquable cet album dont le langage symbolique se réfère à « la conscience » et au monde des quanta. Depuis leur titre jusqu’à leur ambiance, tout est cohérent dans ces compositions qui nous entraînent à la découverte de mystérieux royaumes dont la finalité ultime se résume à un minutieux travail de « nettoyage » et de « transformation ». Ce dont il s’agit ici, c’est d’éclairer l’ombre à la lumière de la conscience, d’infuser de la lumière dans l’ombre, de transmuter l’ombre en lumière ! La première plage de 8 minutes « VORTEX » commence par ce qui me semble être l’ouvrage d’un gigantesque oiseau primordial, peut être l’oiseau-soleil lui-même qui s’affaire à tresser des fils pour confectionner un nid, ce nid n’étant autre que le point focal de la spirale du nombre d’or. C’est un vortex en forme de tore qui étire et agrandit tout ce qu’il attire à lui en l’avalant avec la force d’un raz-de-marée. Une très agréable glissade nous emporte jusqu’ au point focal et l’on se retrouve comme suspendu au beau milieu d’une mer d’étoiles. « PLASMA » nous propose un voyage de 15 minutes dans ce qui semble, à première vue, être du « mastic ». Le firmament étoilé est de nature élastique et on a l’impression d’être soi même « étiré », « étendu » comme si on était à la surface d’un ballon que l’on gonfle. La lumière qui en émane évoque plus des cristaux liquides finement granulés que des nuages de gaz incandescents. On flotte doucement dans un océan de lumière liquide et l’on sent que notre masse physique y est remodelée, redistribuée, qu’elle s’agrandit jusqu’à épouser les coordonnées parfaites du nouveau gabarit. Durant les 9 minutes et demi que dure « ETHER », tout devient sombre et on a l’impression de plonger dans le vide. On découvre un espace sans étoile dans lequel on devine quelques nuages moléculaires. Il y a très peu de lumière, et après avoir traversé une sorte de membrane, on atteint un endroit vraiment reculé. Puis tout se met en mouvement et l’on sent une activité au niveau du 3ème oeil et du chakra coronal, mais il n’est pas facile de décrire ce qui se passe car tout est très sombre ici. Je me demande si je ne suis pas en train d’observer les processus de transformation à l’œuvre dans mon inconscient. Et puis, soudain, un nouvel élan précipite la cohésion de l’ensemble et tout s’unit en un grand cristal qui résonne en plein cœur. Je n’ai pas fait mention des émotions que j’avais ressenties durant mes premières écoutes de la plage « ASCENSION » (16 minutes) : sentiments de mystère, d’inconnu, de crainte mêlée de respect à devoir traverser des espaces qui semblent aussi éloignés de notre échelle humaine. La musique ASCENSION est véritablement apocalyptique : ce qui était caché est révélé en pleine lumière et cela peut se traduire soit par une rencontre avec le Divin soit par une prise de conscience de ce qu’on avait réprimé en dessous du seuil de conscience (en ce qui me concerne, j’ai été quelque peu secouée lors de la mise en lumière de mes parts d’ombre). Je ne blague pas. Cette musique a les vertus d’une véritable « purge sonore », en pulvérisant les attaches avec ce qui nous leste, elle nous libère de l’emprise de la gravité et nous révèle de quoi ce voile était fait. « COSMIC POWER » (12 minutes) la dernière pièce de cet album est une infusion de lumière dans « ce qui était fermé ». Le processus est très subtil. La Lumière infuse doucement notre corps énergétique, elle l’irradie, c’est une lumière douce qui rappelle la lumière d’or indirecte des temples des traditions magiques. Ici, on apprend à « laisser la lumière » pénétrer doucement à l’intérieur de son corps jusqu’à ce qu’elle emplisse ce « vaisseau » d’une radiance proportionnelle aux capacités dudit vaisseau à la gérer.Cet album n’est donc pas le typique voyage angélique vers les sommets de la lumière, c’est une sorte d’odyssée quantique vers les profondeurs de l’inconscient universel, là où se rencontre l’UN et ce qui le cachait : notre ombre. Le propos ici est de faire pénétrer la lumière jusque dans les tréfonds de notre être afin de la répandre autour de nous quotidiennement. Il s’agit de contacter les parts de notre être qui sont encore dans l’ombre pour leur offrir la lumière en cadeau, les infuser, les transformer par la lumière. En tant que point culminant de la série toute entière, « ASCENSION » cristallise les leçons de chacun des CD de musique Multidimensionnelle, c’est une sorte de point nodal autour duquel ils irradient tous en une véritable constellation. A few seconds only after the start, I have sunk into deep relaxation. This sensation. Cela me rappelle ce que j'ai vécu il y a des années, dans le centre Graf Dürckheim pendant la “leibthérapie": une impression d'unité, de non-séparation, il y a espace et dans cet espace il y a des sons qui résonnent dans l'immensité, qui vibrent qui sont parfois comme des caresses incroyablement énergisantes. Merci pour ce cadeau que vous me faites que vous nous faites à tous. J'ai senti que les limites de mon corps s'effaçaient. J’avais des chatouilles dans le 6º chakra et il s’ouvrait. Je note aussi que tout le côté gauche grandit et il se développe comme de la mousse, forte et à la fois légère. C’est comme si j’allais à la derive, je sens que mon corps tourne et il s'incline vers la droite. Quand il y a eu un changement dans la musique je me suis tournée ensuite vers la droite d'un demi – côté et en étant relaxée je n'ai pas senti mes mains. Je me sens très bien à la fin de l'écoute. 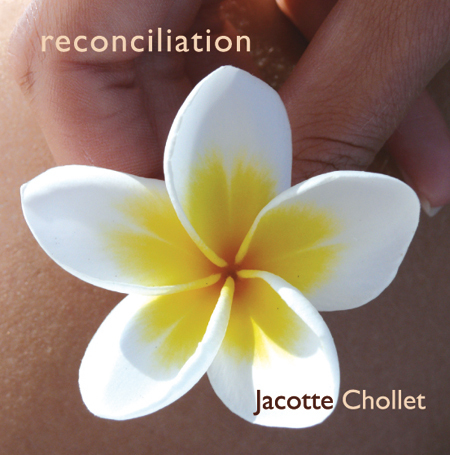 LE CD RECONCILIATION DE JACOTTE CHOLLET : UN CHEF D’ŒUVRE DE MUSIQUE MÉDITATIVE ! 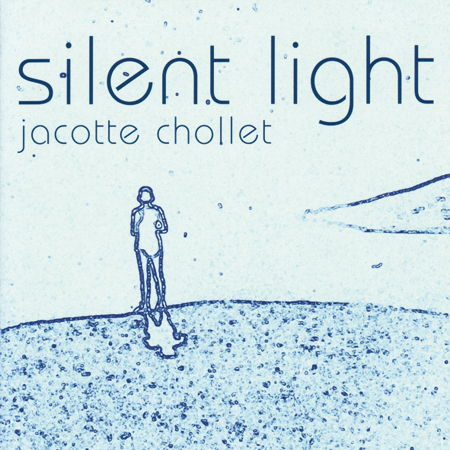 « RECONCILIATION » est empreint d’une douceur et d’une suavité qui ne sont pas sans rappeler « SILENT LIGHT » un de mes CD favoris pour le développement spirituel. C’est, à ce jour, son album le plus « méditatif » : 5 plages relativement longues déploient un tissu sonore d’une grande douceur qui incite à la méditation. Les différentes plages de ce CD transforment chacune à leur manière, en diffusant des fréquences spécifiques qui ré alignent nos différentes enveloppes énergétiques. 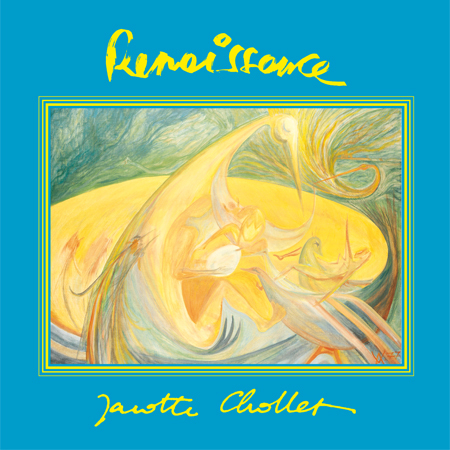 La maîtrise de Jacotte Chollet en ce domaine est évidente, c’est un véritable plaisir à la fois émotionnel, sensuel aussi bien qu’intellectuel que d’être traversé par ces mystérieux sons. Les « travailleurs de Lumière » et ceux qui aiment la musique angélique apprécieront beaucoup cet album et ceux qui cherchent un environnement sonore qui soit aussi méditatif que transformateur et guérisseur en douceur seront comblés par ce CD ! J’ai utilisé le CD RECONCILIATION pour mes cours de yoga sur la ré harmonisation des chakra. J'ai laissé le CD se dérouler pendant toute la séance. En fin de séance, sur la plage 5, j'ai demandé à mes élèves de se déplacer sur cette musique, d’une manière très lente, en se concentrant sur toutes les sensations du corps. Une espèce de danse au ralenti, les yeux fermés. Sentir chaque articulation, chaque membre qui se déroule, se met en mouvement. A la fin de la séance tous sont venus me voir en me remerciant pour cette nouvelle expérience avec leur corps, me précisant que la musique les avait porté. Quel bonheur de voir tous ces visages lumineux, alors qu’à leur arrivée, ils étaient tendus, stressés ! Il y a environ 6 mois que vous m'avez conseillé le CD RÉCONCILIATION pour mon fils qui pleurait beaucoup. Depuis mon bébé n'est plus instable, au contraire il est très calme et il aime beaucoup cette musique ! RÉCONCILIATION sur éveille en moi de l’être Aimant fait d’Amour Divin et d’Amour Humain. J’éprouve une sorte d’aller et retour incessant entre : J’AIME (au plus haut niveau de moi-même) et je suis AIMÉ (au plus haut niveau, au niveau infini). Stimulation émotionnelle de sentir vibrer dans mon corps cette capacité d'aimer et de se sentir en retour aimé et relié. Réconciliation entre mon âme, Esprit et le petit-moi incarné. Ouverture inconditionnelle à l’Amour Universel et JOIE intérieure INTENSE, c’est comme la célébration festive d’une Retrouvaille avec la part d’Éternité qui me manquait, une coïncidence temporelle et terrestre et une Retrouvaille de mon âme jumelle. Irrésistible force de donner la Paix partout où je passe, partout où il y a la mésentente. Doux vouloir que tous les humains s’aiment et chantent ensemble cette vibration de Réconciliation. Des vagues de Joie m’emplissent jusqu’aux larmes et je sens la partie BONNE en moi. Grand MERCI et gratitude pour cette nouvelle composition. Voici comment mes oreilles, mon cerveau, mes sens et mes mots ont perçu le CD RÉCONCILIATION qui porte bien son nom ! Je suis dès les premiers instants dans un état intérieur de calme, de bien être qui perdure d'un bout à l'autre du CD. L'ensemble de mon corps est en concordance et en consonance avec l'orchestration de cette symphonie de sons. J'ai la perception que mes cellules tendent immédiatement vers un certain ordre et ne reviennent jamais à un état désorganisé. L'impact des sons sur mon organisation cellulaire fixe le seuil à partir duquel l'entropie ne peut plus croître. Je suis admiratrice de la composition subtile de cette oeuvre. La force de cet ensemble harmonique réside pour moi dans la forme d'organisation des trois bandes de fréquences: Les basses – les mediums – les aigus. Le deuxième mouvement: COMPASSION me transporte dans une atmosphère émotionnelle très particulière, c'est comme une caresse sur mon âme et mon être, je vois souvent des couleurs violettes et vertes en alternance lorsque j'écoute ce mouvement. Comment est-il possible qu'autant de fréquences connues et inconnues, de variétés en tous sens puissent donner un ensemble aussi harmonique? Je n'en reviens pas ! Les potentialités de cette force vibratoire du SON sur la réorganisation cellulaire est bien mystérieuse mais grâce à vous je peux retrouver cet état de plénitude. Aujourd'hui, votre musique est un espoir"de taille pour mon futur. Elle m'aide à retrouver le fondement solide qui est en moi, ce moi qui se relie à l'origine universelle qui me permettra de mieux accueillir et accepter les aléas du destin, je l'espère. Merci mille fois pour ce nouvel éveil aux infinies richesses, beautés, possibilités du son ! Etant musicien je me demandais où et comment la musique pouvait se dépasser et vous m’avez livré une réponse profonde et émouvante. En écoutant le CD RÉCONCILIATION, une félicité apparaît en sourire puis se transmet jusqu’aux pieds avec quelques picotements sur les endroits qui sont « en ouvrage » (estomac en digestion…) puis (jusqu’à la fin du CD) : je sens une douce chaleur interne qui vient m’embaumer me donnant une sensation d’élargissement bien sympathique. Sur les deux écoutes pratiquées, je m’endors comme une plume. Bravo et félicitations pour ces ondes pleines de lumière et d’énergie bienfaitrice ! I have had time to listen to your CD ESSENCE. Very pleasant sounds, with amazing mixing, how do you mix these sounds ? With an experience of joy in my mind afterwards, very positive result . I congratulate you for your talent. The CDs have arrived. I am listening to “Essence" now. It transports me deep inside the heart of the World and into a deep sense of my own Higher Self, all at once. In gratitude and awe ! Après 48 heures d'écoute du CD ESSENCE, mon œil gauche opéré 2 mois plus tôt qui me réveillait la nuit avec des élancements et était toujours enflammé et rouge, est redevenu normal ! J'ai senti que cela s'harmonisait petit à petit. Merci pour la puissance des ondes sonores de guérison. Un vrai bonheur! Quand j'ai écouté le CD ESSENCE pour la première fois sans le casque, j'ai tout d'abord ressenti beaucoup d'émotion devant tant de beauté : c'était divin ! Puis les larmes sont arrivées. J'avais l'impression de me reconnecter avec ma vie d'avant ma naissance, à un monde d'amour inconditionnel qu'on ne peut même pas imaginer ! C'était douloureux parce que j'ai toujours eu cette sensation d'un “avant-vie terrestre" merveilleux . Cette vie ici-bas m'a très souvent semblé difficile. Et là, avec la musique, est venue une profonde nostalgie de cet ailleurs… du paradis. Je sais maintenant où j'irai quand je mourrai. Alors… je n'ai plus peur, ni de mourir, ni donc DE VIVRE !!! Le premier soir d'écoute du CD ESSENCE, j'ai d'abord eu l'impression que la balance des sons jouait entre mes deux oreilles. J'aime les sons à dominante aigüe. Ils me font du bien. Au deuxième morceau, c'est la partie du cerveau située au dessus du front qui a travaillé. J'y ressentais des picotements, comme des ondes électriques. Cela a duré quelques instants puis s'est installé un léger mal de tête localisé dans la région frontale. Pendant ce temps, la balance se jouait de mes deux hémisphères. Lors du troisième morceau, c'est entre les oreilles et le dessus du crâne que cela s'est passé: Sensations de picotement, balance des sons jouant d'un côté à l'autre. Puis, une tension s'est fait ressentir dans mes mâchoires et aussi un léger agacement. Lors de la deuxième écoute, le mal à la tête ne s'est pas manifesté. Les picotements au dessus du crâne, lors de l'écoute du deuxième morceau, ont réapparu. Je prends alors conscience de l'extrême richesse de la musique. J'ai l'impression de n'avoir pas assez de mes deux oreilles, de mes deux hémisphères pour apprécier chaque son. C'est magnifique ! A partir du troisième morceau, agacement léger et crispation légère au niveau des mâchoires. Après la troisième écoute du CD ESSENCE, j'ai voulu faire un intermède avec le CD RENAISSANCE. Je trouve ces deux CD complémentaires. Essence me fait vraiment travailler sur moi. Deux sortes de pensées viennent à moi, spontanément, lors de l'écoute profonde et surtout à partir du troisième morceau. Les premières sont des souvenirs de situations anciennes ou récentes où j'ai été contrariée. J'ai le sentiment que je m'en libère. Puis, vient à moi le futur. Futur proche. Je vois les problèmes que je devrai résoudre le lendemain. Je sais alors que j'arriverai à tout faire et bien. J’ai écouté pour la 1ère fois avant hier le CD ESSENCE . Je n’ai pas écouté ce CD comme d’habitude, c’est-à-dire que souvent je me couche, je ferme les yeux et écoute avec le casque. Cette fois-ci, j’ai colorié un mandala, tiré une carte des anges et écouté ton CD avec le casque tout en coloriant mon mandala et cela m’a fait le plus grand bien. J’apprécie beaucoup ce CD, il me centre et je me sens proche de moi. Je viens de recevoir le CD ESSENCE. Comme d'habitude c'est un chef d'oeuvre, un véritable régal. Je possède tous les titres de votre collection et ils m'accompagnent tous les jours et plusieurs fois par jour. Pour l'instant, à quelques jours de cette fin d'année, je vous souhaite le meilleur pour vous et ceux que vous aimez et surtout encore et toujours plus d'inspiration transpersonnelle dans votre merveilleuse musique. Avec toute notre amitié et notre affection de mon épouse Françoise et de moi-même. I have received my disc COSMIC HEART thank you for such fast service ! Now I have had time to here it a few times I can say it is a fantastic sound with track 4 and 5. I have had a vibration in my back which is unusual, this music is very enjoyable. I have listened to your music for a long time now I have been inspired to buy a keyboard for the first time… This gives me great pleasure ! Thank you very much for your work. Peace and blessings. Your COSMIC HEART CD is magnificent and I want to thank you from the bottom of my heart. I find it very beautiful, so full of Joy, so much in the Love and Unity vibrations. This music has touched my heart and all my cells too. Thanks a lot, you have done an extraordinary work, the result is really exceptional.